I like to think I grew up in a practical family, but as I get older, I’m realizing the truth is more that I grew up in a family that liked to think it was merely practical. I’m in the process of working out exactly what to call us. For now, I’m gonna go with Practical Gothic. 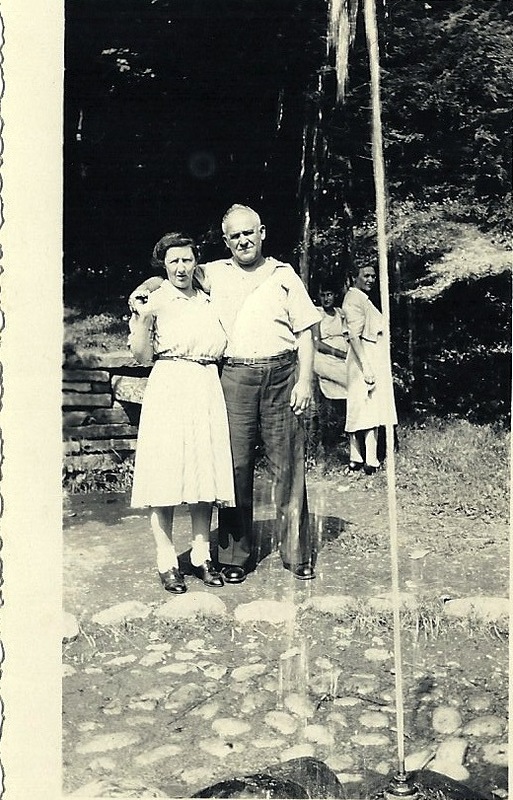 My grandparents were Jewish immigrants from Eastern Europe. They got to the United States in the early decades of the last century, just in time to raise their children – my parents and their siblings – during the Great Depression. Dad’s parents settled in Boston. Mom’s were in Central New York. I never met Dad’s father, a cantor whose poor health prevented him from succeeding in business. My mother’s father died just before my third birthday. I remember Zaydie. My sister and I used to crawl around on his lap as he lay on his recliner, his legs covered with a blanket. He called us “knaidlach,” the Yiddish word for dumplings. He was 25 when he married my then 14-year-old grandmother, the second-oldest girl in her family. My parents were the first in their families to graduate college. Mom’s parents were farmers who hadn’t gone past third grade. She became a teacher. Dad, from a long line of Orthodox rabbis and cantors, went rogue and became a Reform rabbi. By the time my sister and I showed up, things were pretty much etched in stone. We were the youngest of Bubby and Zaydie’s 15 grandchildren. The nearby next-ups were four years older than we were. The oldest, Larry, was born 20 years before me. We spent lots at “the farm” where Mom had grown up. Mom’s older brother and his family lived there, but my uncle had stopped farming and become a photographer. Duke and Penny, the dogs, were the only animals. Calling it a farm made no sense to me, but I was a kid, and no one much cared what I thought. Half a century later, with more information, I’m lurching toward answers. The good news is that I have a few. The bad news is that they’ve raised a lot more questions. My family’s practicality is a fact. My immigrant grandparents worked hard and stressed the value of education. They passed those values on to my parents, and my sister and I have passed them on to our children. But they passed on a few other less socially acceptable things, too. Some of those can be traced to money, or, more accurately, its pursuit, and the fallout of its absence. Some of it can be traced to mental illness, which definitely ran in my father’s family. I’d like to think that that ran in my mother’s family too. Which might seem strange. But it’s so much nicer to imagine that your great-grandfather killed his children, beat his wife and got his oldest daughter pregnant because he was mentally ill and not just evil. Unless, that is, you’re still figuring out whether to be practical about it all.